The AEF advanced towards their second objective, an arbitrary line just north of the German's trench system. Following a short pause to regroup, they continued on to their third objective, another line at the northern edge of the Bois de Rat. Met with heavy resistance and newly placed wires, the infantry and tanks of the 1st Army moved forward, killing and capturing enemy soldiers who remained in their path. The third objective was complete by 10:00am just 5 hours after the infantry first entered the battle. When they were ready to move again in an hour, villages to the north and northwest were engulfed in flames. Germans were notorious for burning down areas they left behind. American Flying Ace Eddie Rickenbacker described the scene from above. "At 60 feet above ground [flying] straight east to St. Mihiel, we crossed the Meuse River and turned down its valley towards Verdun. Many fires were burning under us as we flew, most of them well on the German side of the river. Villages, haystacks, ammunition dumps and supplies were being set ablaze by the retreating Huns." (see A Hero's Hero) All that was left in most areas were crumbling walls. The next phase proved challenging, but was still met with vigor and endurance. Muddy terrain resulting from the rains, along with the steep banks of the Madine River, kept engineers busy fixing and preparing roads for the quickly advancing battalions. Regardless, the progress of the AEF proved so impressive, once the fourth objective was reached by 12:20pm, leaders decided to continue forward with objectives planned for the second day of attack. Reserve units began replacing those in the initial attack as the Americans continued to move forward. French units designated to follow behind confirmed the St. Mihiel sector was clear of Germans. By noon on September 13, the 1st Army of the AEF established a headquarters in Nonsard, which was the primary goal of the mission. For four years, Germany erected massive wire barriers and dug an impressive trench system. In less than 12 hours, Americans penetrated the obstacles and chased the Germans out. When the Germans took over the St. Mihiel sector in late 1914, they successfully stopped the railroad between Paris and the Eastern Front. They also constructed pleasant camps for themselves, including small cottages, clubhouses, and stables. This occupation greatly impeded France's efforts in the war. With an American base now established in this area, more effective offensives could be conducted against the German Army. Due to depreciated manpower and supplies, the Germans decided to retreat as the Americans advanced and build a stronghold elsewhere. As the Americans scouted the area, they discovered items the Germans left behind. Uniforms, personal effects and weaponry, and even some cases of freshly prepared food indicating their arrival was much quicker than the Germans expected. The next two days saw more fighting and bombardments from Germans, but by the 16th, St. Mihiel and the surrounding areas were free of German presence. In the end, the 1st Army covered almost nine miles in just nineteen hours, despite overwhelming obstacles. Overall, the AEF suffered 7,000 casualties while capturing 16,000 Germans, along with large amounts of artillery, ammunition, supplies, and vehicles. The quick and amazing victory not only gave the troops a huge morale and confidence boost, it proved to the Allied Forces the Americans were ready to finish the "war to end all wars". Yet, Pershing's forces were not the only reason for the victory. His precise, detailed plans, carried out by trained, efficient officers contributed greatly to winning the St. Mihiel offensive. While the AEF saw their first offensive operation at Cantigny in May, the assault was led by the French. (see Big Red Won) Even though the AEF achieved a massive victory, the Allied Forces were concerned the Americans were still green. Yet, the U.S. Army's impressive performances supporting the French during Belleau Wood in June and the Second Battle of the Marne in July, proved their readiness. Following the arrival of an influx of American forces, the 1st Army was organized on August 10, 1918. Shortly after, Allied Supreme Commander Ferdinand Foch agreed to allow Pershing to set up a headquarters in St. Mihiel for the 1st Army. The St. Mihiel campaign would be the U.S. Army's first, and only, solely launched offensive in World War I. Despite being only eight pages, as opposed to France's 160 page proposal, Pershing's offensive plan contained a detailed strategy for the infantry, tank companies, and artillery. Yet even the best designed plans need some flexibility. Charging up San Juan Hill with Teddy Roosevelt, Pershing experienced first hand that commanders on the ground needed the ability to make decisions when needed because waiting can prove deadly. 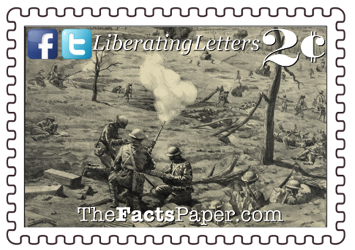 (see A Tale Of Two Soldiers) Pershing divided the salient into sectors, giving each unit their own specific section. He issued concise orders for the overall operation with the specific intention of giving field commanders the freedom to fulfill those orders as the battle required. This gave Colonels George S. Patton and Douglas MacArthur and other officers the ability to adapt quickly to the situation on the battlefield. In addition, instead of shouting commands from a safe space behind the fighting, these officers led from the front lines. This not only allowed them to make quick, informed decisions, they also earned the respect and devotion of their men as these officers were not afraid to fight. Their courage was contagious. As Second Lieutenant Julian K. Morrison walked in front of his tanks, leading them forward in his section of the St. Mihiel salient, he came upon a German machine-gun nest. As bullets flew through the area, two struck Morrison's right hand. Regardless, with just his .45-caliber pistol in hand, he continued on and captured the German machine-gun crew. Liberty, as you go through life you will notice that there are several types of leaders. Some, called micro-managers, assign work to their employees but have to personally oversee and approve every decision. As a result, projects get bulged down and often delayed as bosses knit pick every detail. Other executives don't trust their employees, fearful of mistakes being made, so they end up doing most of the work themselves, where again, not much gets done. But some of the best supervisors, like Pershing, design an overall plan, trusting that those under them can successfully execute that plan as they see fit. Even when mistakes are made, good managers guide employees through them, building the skill sets they need to bring the best out of them. Regardless of our occupations, God gave us a plan, too. We are to spread the message of His love with the Gospel of Jesus Christ. But in this crazy, sinful world, God also gives us the leeway to accomplish that goal the best way we see at the time. Your uncle became a pastor and is now a missionary, spreading God's Word to those in the Cayman Islands, the Dominican Republic and Puerto Rico. A member of our congregation has spent the last 10 years in Thailand helping Christians there learn about Jesus as they build their own mission. You'll find that sometimes, a listener needs to hear the law before their heart is open to the Gospel. Other times, you can demonstrate God's love by just sitting up late with a friend and letting them cry on your shoulder. Nevertheless, God does not expect us to be perfect, but he does expect us to be in the trenches leading others to Him. While the men waited to move into position, the sky became eerily dark. As if a baptism on the troops, rains drenched the soldiers. At 1:00am on the morning of September 12, 1918, the world went from complete darkness to blinding light as shells simultaneously exploded throughout the area. Despite constant cold rains since their arrival on September 8, nothing would dishearten or discourage the American Expeditionary Forces (AEF) and the mission they were about to embark on. For four hours, the Americans bombarded the German occupiers with shells and ammunition as the infantry waited anxiously for their turn. Their shouts and cheers of "Let's Go," were answered at 5:00am as the second phase began. The American guns continued their assault, but now as a rolling barrage. Infantry followed behind, hidden by the smoke of the artillery. The terrain was a maze of trenches and wire barriers. Groups of engineers, protected by rifle teams, carefully cut the wires as the infantry and tanks followed closely behind. The torrential rains filled the trenches while turning the ground into an endless swamp. The First Division's Intelligence Section sketched the St. Mihiel sector down to the trenches, machine gun nests, battery positions, and command posts. Thanks to the amazing exploration work done before the offense, no German machine gun battery could hide. It only took half an hour before the battalions reached their first objective, a parallel line running along the southern bank of the small creek Rupt de Mad at Richecourt. The day before, engineers dammed the creek to lower its level, though the rains continued to fill it. In some areas, troops were able to wade the creek as engineers tossed prepared footbridges over the unfordable areas. The mission of the 2nd Battalion, 18th Infantry, which included your grandfather as part of Company C, 2nd Machine Gun Battalion, was to protect the exposed left flank. (see A Hero's Story) Once across the creek, the 2nd Battalion turned to the left to defend against an attack from the direction of Mont Sec.